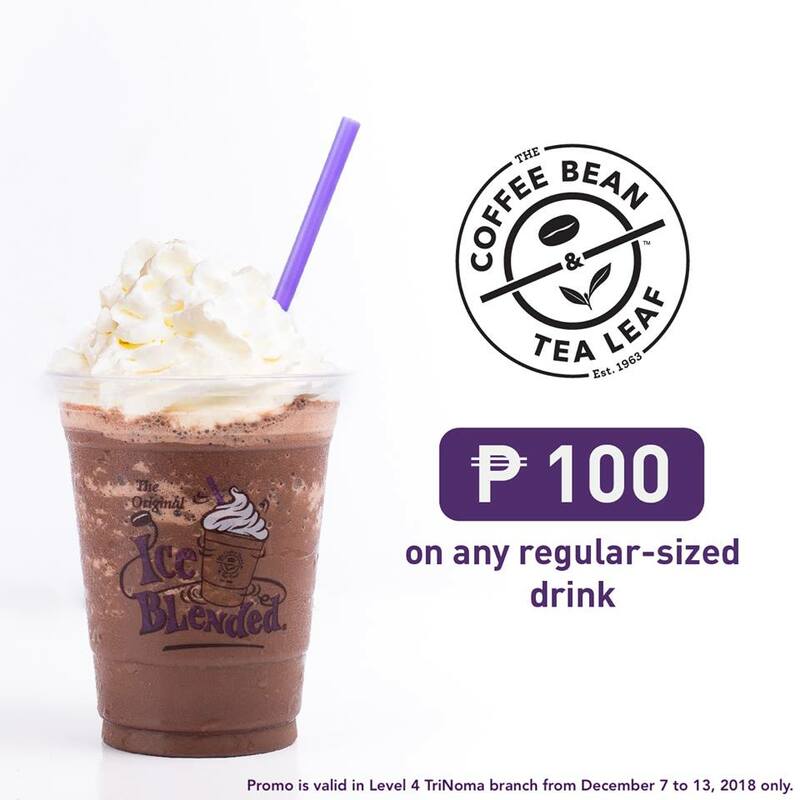 Visit the new The Coffee Bean & Tea Leaf at Level 4 TriNoma, and Estancia Mall branches, and avail of the drink PROMO! 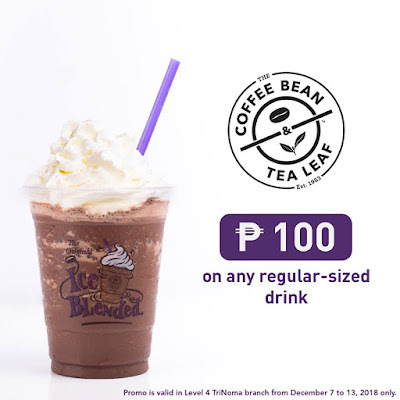 From December 7 to December 13, 2018, buy any regular-sized drink for only P100. Don't miss out!